From the beginning, his creative philosophy answers criteria of simplicity and purity of form, functionality and lasting quality, which have enabled the brand to win a recognized place in the international market. Oriented apparatus defining effective and recognizable lighting, develops his ideas Prandina staying in synergy with novice designers are known is Italian and international environment, looking for answers outside of the stylistic trends and short-term agreements. with an export equivalent to 80% of its turnover, Prandina is now present in Europe, North and South America, Middle East and Asian countries, the best selling points of the sector. 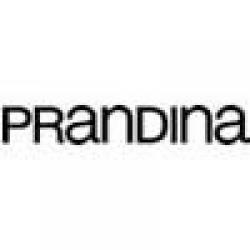 Prandina logo is a unique, registered in the national and international level.